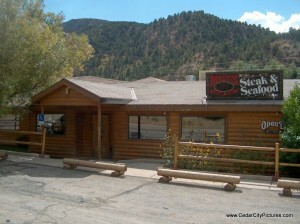 Milt’s Stage Stop is located at 3560 E Highway 14. It was opened in 1956. They serve steak, seafood, salad bar, beverages and dessert. 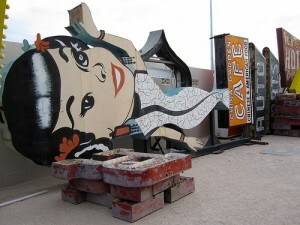 Milt’s Stage Stop is open from 5:00 pm to 9:00 pm. 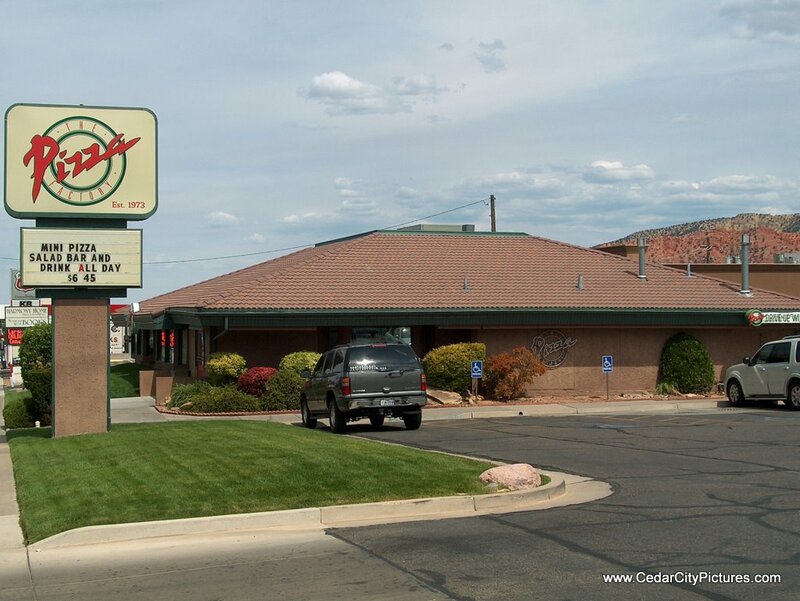 The Pizza Factory has served high quality pizza and fresh food since 1973. 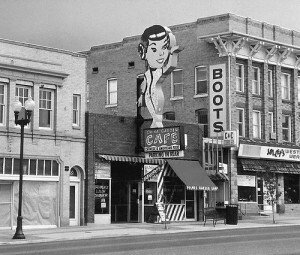 It is located at 131 S Main St. The Pizza Factory opens at 11:00 am and is closed Sundays. They also deliver and cater. They serve pizza, breadsticks, calzones, pasta, sandwiches, spaghetti, salad bar, beverages and dessert. The Pizza Factory was started by Bill Kringlen. 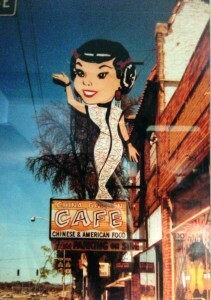 It used to be across the street from its present location. 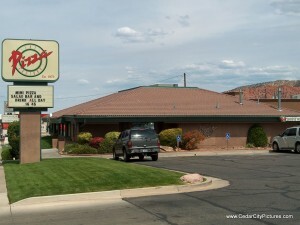 Sizzler servs steak, seafood, salad, dessert and is located at 199 N Main St. Sizzler is where the old El Escalante Hotel used to be. The manager is Mike Dedrick. 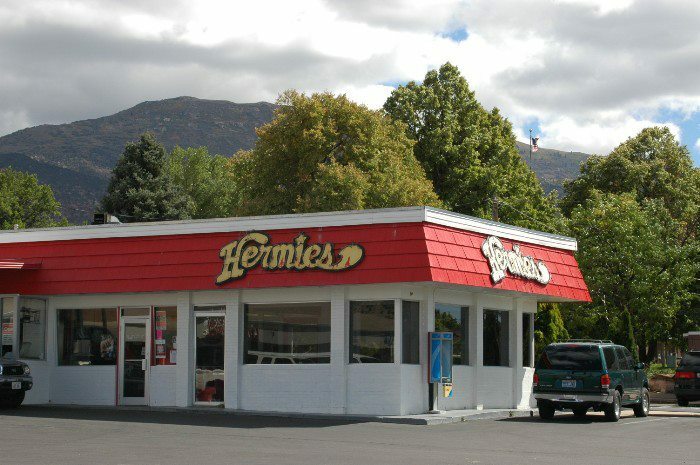 Hermie’s Drive In is located at 294 N Main St.
Rusty’s Ranch House is located just past the entrance to Cedar canyon and is open Monday-Saturday 5:00 pm – 10:00 pm. 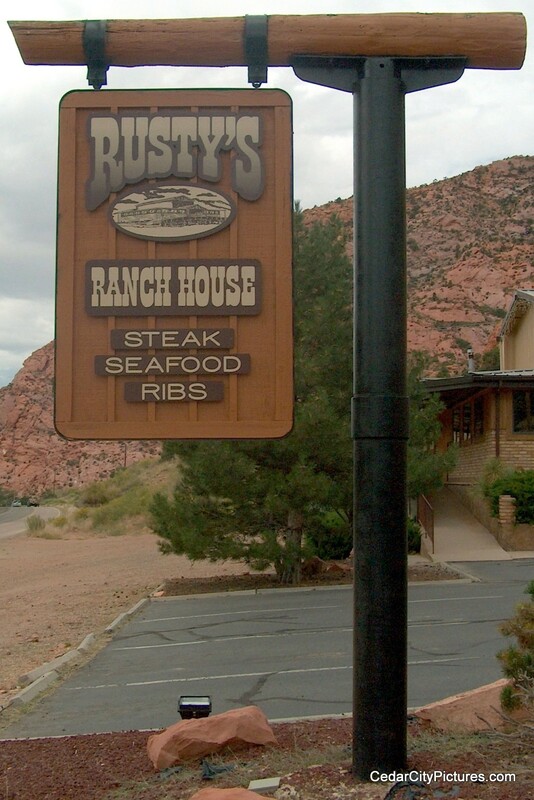 You can view their menu which includes appetizers, steaks, BBQ, seafood, pasta, salads, dessert and beverages. 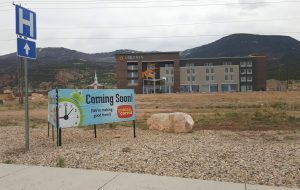 The owner is Rusty Aiken. 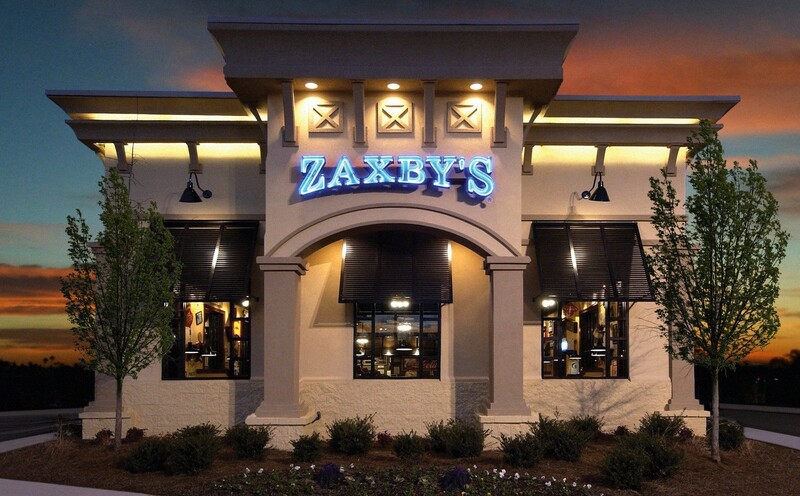 Zaxby’s chicken restaurant is in Cedar City next to Slurp’s Up on burger alley! 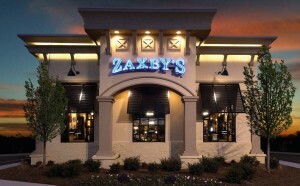 The chain was started by Zach McLeroy and Tony Townley. 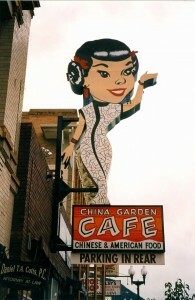 The China Garden Cafe was located on Main Street across from Hugh’s Cafe and next to Kentucky Fried Chicken and is no longer open. 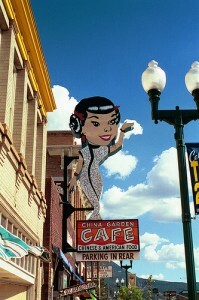 It was called the Hong Kong Cafe and was located in Milford before moving to Cedar City. 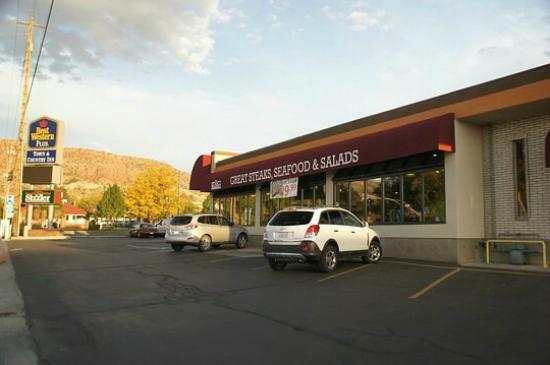 The Yee’s owned this Chinese food restaurant. 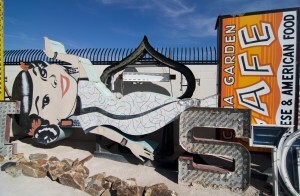 The China Garden Cafe sign is now located in the Neon Museum in Las Vegas. 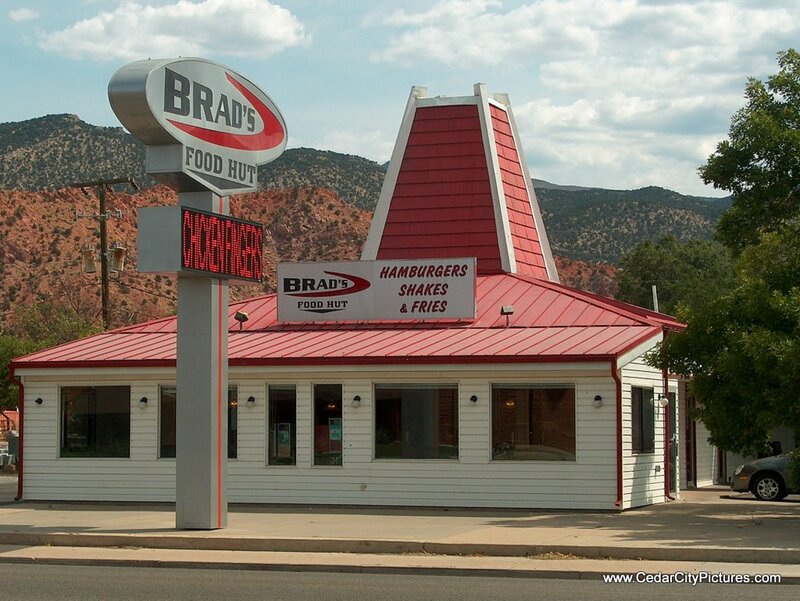 Brad’s Food Hut is a fast food restaurant in Cedar City, Utah. 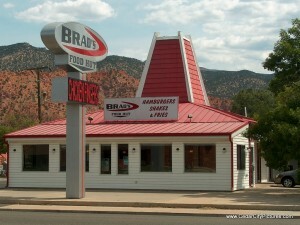 Brad Larson is the owner. 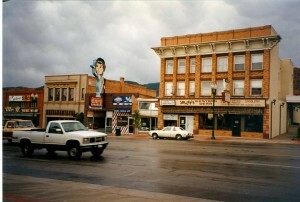 It is famous for the Bronco Buster.